VANCOUVER (NEWS 1130) – Do you remember that first time you walked into an arcade and saw that glowing, clinking machine with the little silver ball? 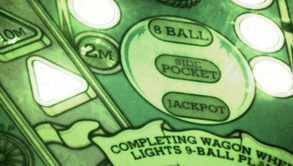 The Holiday Inn Downtown will be lit up like a penny arcade this weekend thanks to the Vancouver FlipOut PinBall Expo. Pinball isn’t a thing of the past according to Nitro Amusements owner and Expo founder Tommy Floyd. Over 100 machines of all eras and styles will be set to free play. “We’re going to have the old school electromechanical — those are the kind that [people are] probably more familiar with, with the reels on them and they sound more like bells clanging,” explains Floyd. There will also be a tournament room for people with a competitive streak. There will also be vendors and speakers, including ‘Jersey Jack‘. You can find tickets or a weekend pass here. And just in case you need a refresher or a crash course in the classic game, here’s a quick tutorial.